The word "Gayatri" itself explains the reason for the existence of this mantra. 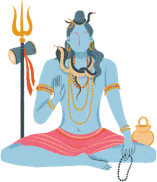 It has its origin in the Sanskrit phrase Gayantam Triyate iti, and refers to that mantra which rescues the chanter from all adverse situations that may lead to mortality. Goddess Gayatri is also called "Veda-Mata" or the Mother of the Vedas - Rig, Yajur, Saam and Atharva - because it is the very basis of the Vedas. It is the basis, the reality behind the experienced and the cognized universe. The Gayatri mantra is composed of a metre consisting of 24 syllables - generally arranged in a triplet of eight syllables each. Therefore, this particular meter (tripadhi) is also known as the Gayatri Meter or "Gayatri Chhanda." 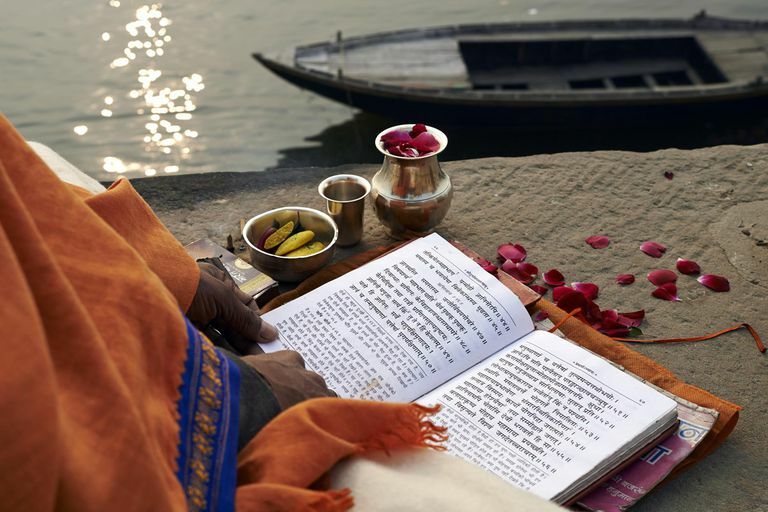 Let us take each word of the Gayatri Mantra and try to understand its inherent meaning. The above three words of the Gayatri, which literally means "past," "present," and "future," are called Vyahrities. Vyahriti is that which gives knowledge of entire cosmos or "ahriti". The scripture says: "Visheshenh Aahritih sarva viraat, praahlaanam prakashokaranh vyahritih". Thus, by uttering these three words, the chanter contemplates the Glory of God that illumines the three worlds or the regions of experience. The last five words constitute the prayer for final liberation through the awakening of our true intelligence.